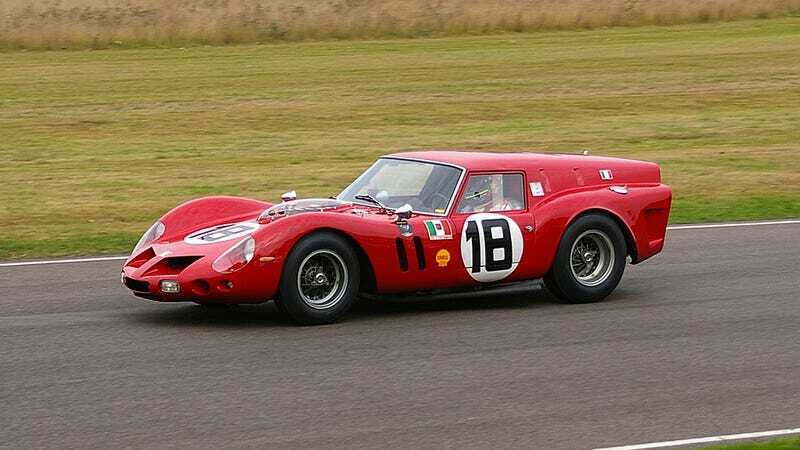 Twenty-seven pre-war Bugattis, 29 '60s prototypes, 18 Group B rally cars, 23 low-drag Le Mans prototypes and 20 turbo-era F1 cars racing on the track. That's just the tip of the iceberg from the upcoming Goodwood Members' Meeting and I'm going there with a set of extra batteries and 20 gigabytes of compact flash to show you all. I mean, show you as much as I can, because the 72nd Goodwood Members' Meeting is one of those events where you wish for an army of clones to help you. Remember the Concorso d'Eleganza Villa d'Este? Multiply it by ten. The Members' Meeting is sort of a "new" event. It's a bit like the Goodwood Revival, but "private" as only Goodwood Road Racing Club members can buy tickets. And while it will be the 72nd, the last time they held one was in 1966, so it's kind of a big deal for the estate known mostly for the Festival of Speed held in June. Kidding aside, check out this entry list, which is quite frankly the best entry list in the history of mankind, plus infinity, ever. I need to buy some classier shirts before the 28th of March. Vintage grease doesn't go with anything.